Lisette Melendez (born 1967) is an American freestyle/Latin pop/dance-pop singer. She is best known for her 1991 hits “Together Forever”, #35 at the Billboard Hot 100 and “A Day In My Life (Without You)”. Both songs were such big dance music hits that they are credited as helping renew interest in Freestyle music in the early 90s, which had been fading in popularity due to the rise of mainstream pop music and grunge at the time. In 1988 she got her break and sang backing vocals for a track by dance music record producer Carlos Berrios, who had also worked with Sweet Sensation and Samantha Fox. A few years of dance club touring eventually led to the recording of the single “Together Forever” Produced By Carlos Berrios and Platinum Producer Frankie Cutlass, and soon after a full album with Fever/Columbia Records. Four more albums followed, including her second album True To Life in 1994 which spawned the Billboard Hot 100 hit “Goody Goody” (#53), A Day In My Life (Without You) (#49) and “Will You Ever Save Me” which charted on the Rhythmic Top 40 at #38. The album did extremely well in Japan, both commercially and critically. In 1998, she released her third album, Un Poco De Mi in 1998, a salsa album sung in Spanish. It scored a hit with “Algo de Mi” which peaked at No. 8 on the Latin Tropical/Salsa Airplay chart and No. 23 on the Hot Latin Tracks chart. Her fourth album released later in 1998 is titled, “Imagination.” The lead single from “Imagination” was “Time Passes By.” It did not gain mass radio airplay and success like her previous singles, but it became a moderate hit nonetheless. 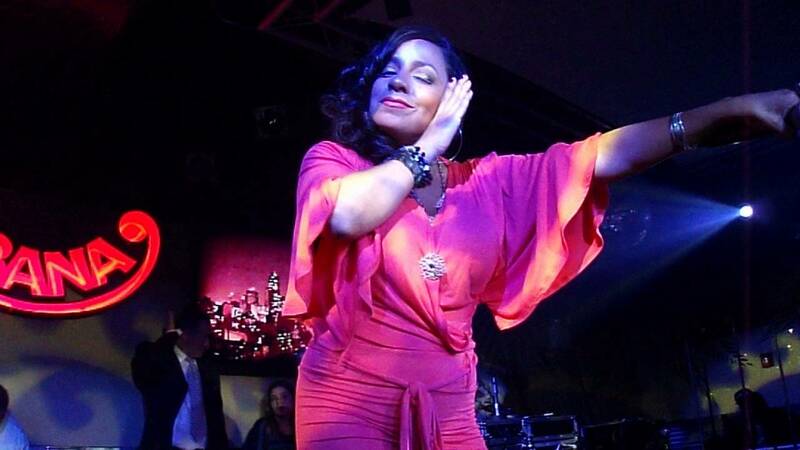 In 2005 Melendez teamed up with fellow Freestyle artist Cynthia and released the single “I Can’t Change Your Mind” as the duo, Liscyn. She continues to tour as of 2006. In 2008 Melendez teamed up with famed music producer Carlos “After Dark” Berrios and performed two new tracks “I Need a Lover” and “Don’t Ever Say” on albums Don’t Look Back Sessions One & Two. Melendez is set to perform at the I Love Freestyle Vol. 1 Live Concert event on January 17th, 2015 at the Resorts World Casino in Buffalo, NY along with fellow freestyle artists, such as Jade Starling, Sa-Fire, Lisa Lisa and others.